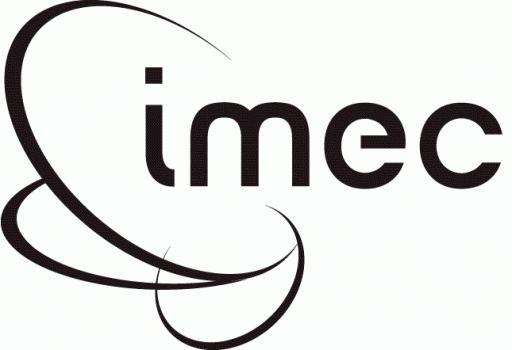 Imec is headquartered in Leuven, Belgium, and has offices in Belgium, the Netherlands, Taiwan, USA, China, India and Japan. Its staff of about 2,200 people includes almost 700 industrial residents and guest researchers. In 2014, imec's revenue (P&L) totaled 363 million euro. 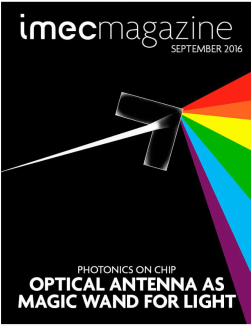 Stay up to date about what’s happening at imec with the monthly imec magazine, available via the website www.imec.be/imecmagazine or by simply clicking on the image. JBF Global Europe is a newly built green field PET production site. It co-locates with its raw material supplier, BP Chembel NV in the city of Laakdal, Belgium. It uses MTR® technology, licensed by Uhde Inventa-Fischer (ThyssenKrupp) and has an annual capacity of 432,000 tons of bottle grade PET resin, which makes it the single largest PET production site in Europe. Located in the heart of the city of Leuven in Brusselsestraat 128, Everest House is an Asian supermarket offering a wide array of oriental groceries, condiments and spices. Eshaan’s Catering is a contract and events catering company that cater for every occasion, from lively Christmas-Easter-Birthday parties, to business lunches. There motto is the Holy Grail of gastronomy: 'Seasonal', 'Sustainable' and 'Sourced locally'. Adding a dash of creativity to fresh ingredients, they even devise personalized menus that match your needs perfectly. From Halal to Vegetarian, they understands the diverse culinary nature of the Indian-sub continent and prides themselves in being able to produce all kinds of authentic Indian cuisine to suit most catering requirements & budgets, for all classes of people from students to business professional. ​​​India House Leuven (IHL) is an initiative of KU Leuven and a number of partners from different sectors who together want to make more accessible the knowledge about India. It aims to be a home for meetings organized between Leuven and Indians, and activities that contribute to this. What makes IHL stand out is that "The existing initiatives are rather isolated and therefore have too little charisma," says professor and India connoisseur Idesbald Goddeeris. IHL extends its focus mainly in 4 prime fields:- Economic, Academic , Social and Cultural by organizing industrial visits, seminars, debates, student exchange and plenty more. To stay tuned you can follow their facebook page.  ​Given the long tradition of Indian students studying at our beloved K U Leuven university, their growing number and the ever increasing importance of India in a globalized world, an India Chapter of KU Leuven Alumni was established. This Chapter aims at being a network for all Indian KU Leuven alumni. It is coordinated and supported by KU Leuven. If you are a KU Leuven alumnus, living or working in India or if you are interested in the activities of this chapter. Please feel free to follow us on facebook and register below.